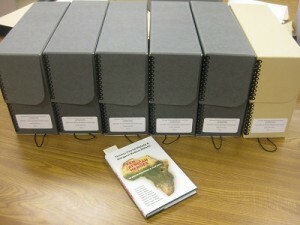 The Thomas and Margaret Melady papers: a Window to Africa of the ’60s and ’70s. This rich collection was described in detail by the Meladys before coming to the Archives, and that original description forms the majority of the finding aid. While no materials from the collection have yet been digitized, the entire original collection is available at the Archives and Special Collections Center, on the first floor of Walsh Library. Please see our Hours page to find Hours and Directions, or Contact Us to make an appointment.